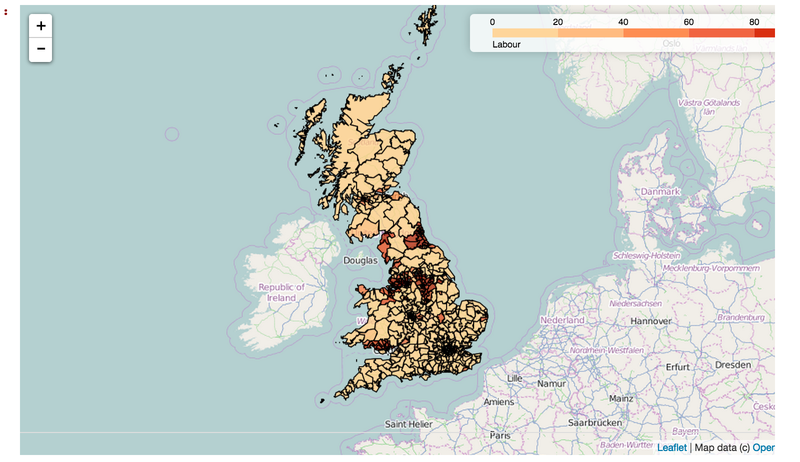 During the last couple of weeks of Cabinet Office Code Clubs, we’ve started to explore how we can use the python folium library to generate maps. Last week we looked at getting simple markers onto maps along with how to pull data down from a third party API (the Food Standards Agency hygiene ratings), and this week we demonstrated how to use shapefiles. 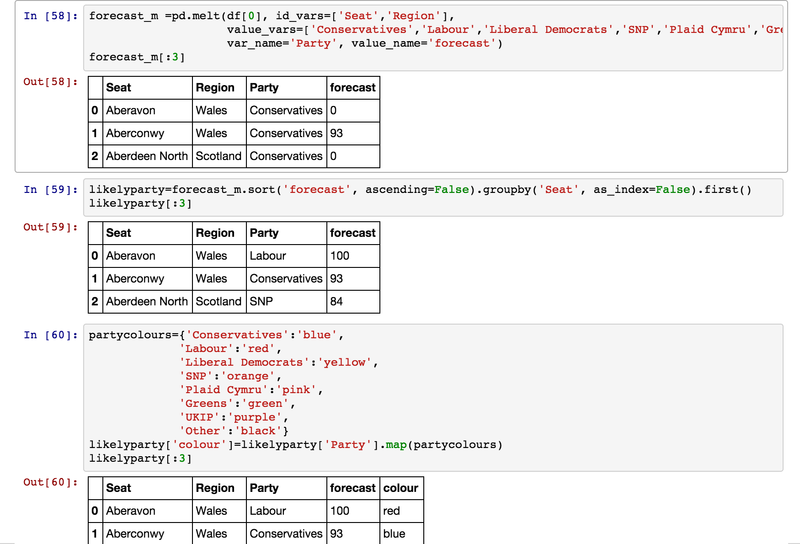 We can then generate a map based on the discrete categorical values of which party has the highest forecast likelihood of taking each seat. An IPython notebook showing how to generate the maps can be found here: how to use shapefiles. 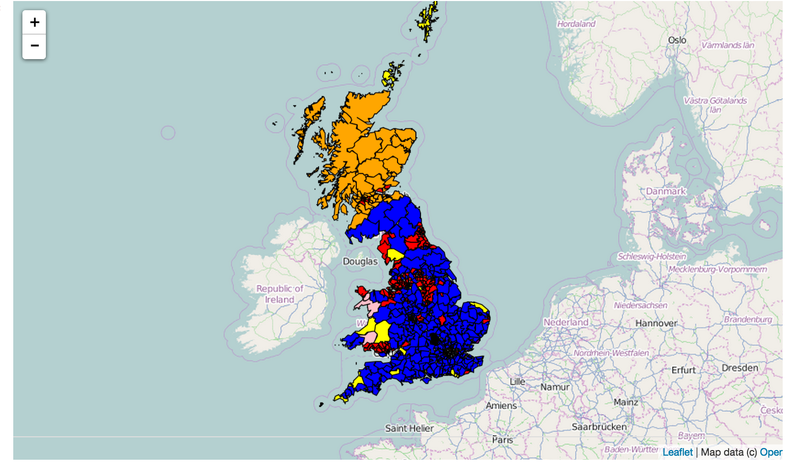 One problem with this sort of mapping technique for the election forecast data is that the areas we see coloured are representative of geographical area, not population size. Indeed, the population of each constituency is roughly similar, so our impression that the country is significantly blue is skewed by the relative areas of the forecast blue seats compared to the forecast red ones, for example.